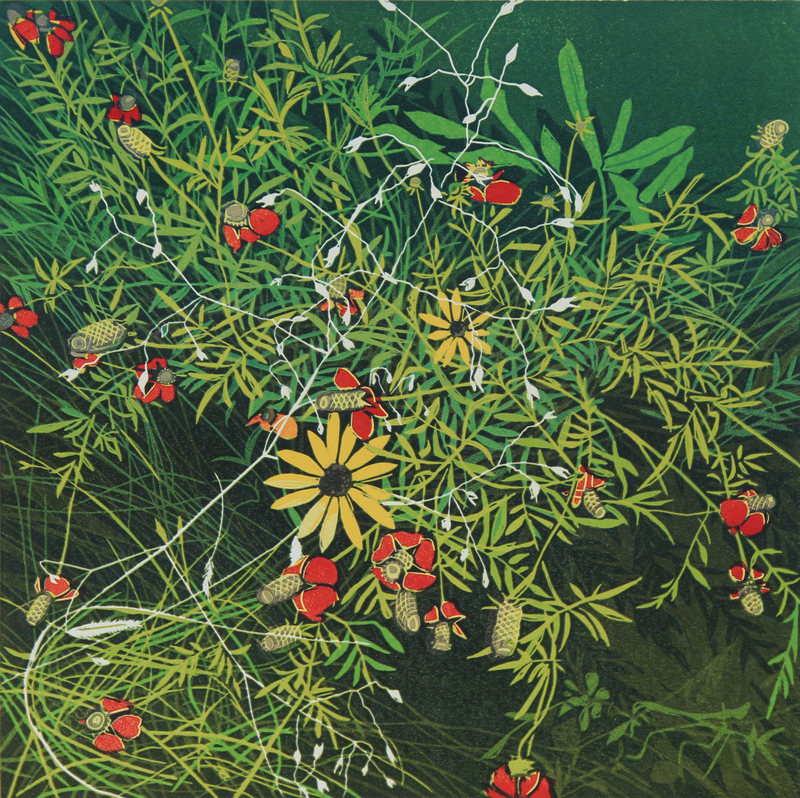 Like an English garden, Sherrie York’s linocuts are an exuberant celebration of shapes and forms. Landscape vistas, bird behavior and intimate explorations of nature underfoot are uniquely interpreted through the process of reduction printing. Each image is created from a single linoleum block, which is carved and printed using successive layers of color.